Daily Prompt: Being a Soul-mate! Daily Prompt: Got a soul-mate and/or a best friend? What is it about that person that you love best? Describe them in great detail — leave no important quality out. In a previous prompt, I spoke about my best friend and as I’m sure I’ve hinted before, I am yet to find my soul-mate… so this prompt probably wasn’t made for me! 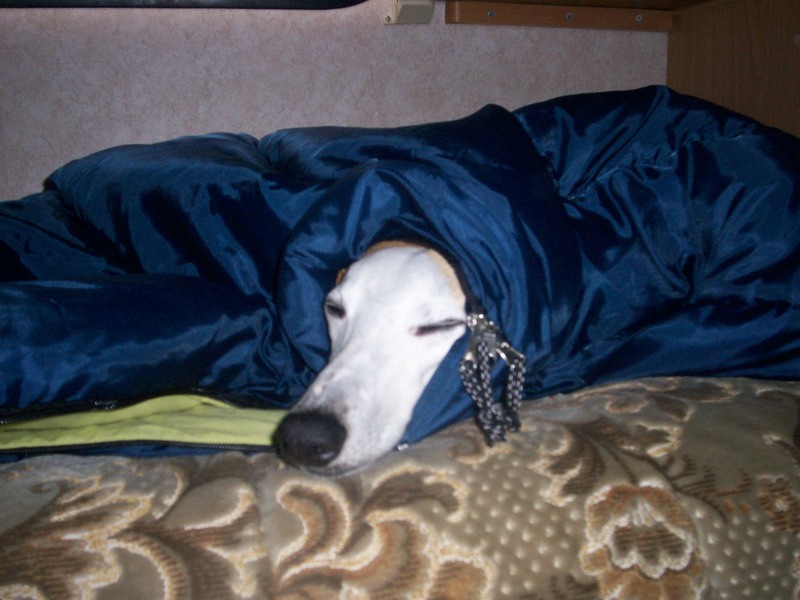 So please, accept this wonderfully cute picture of our whippet, Toby, asleep in my Dad’s sleeping bag whilst we were on a caravanning holiday.